You are going to Watch RWBY Volume 2 Episode 9 online free episodes with HQ / high quality. 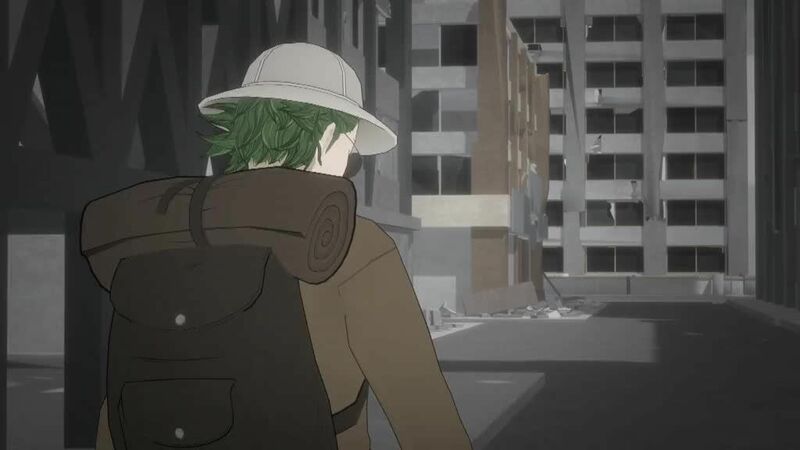 Stream cartoons RWBY Episode 19 Online Team RWBY and Oobleck set off on their mission, seen off by Team JNPR, Sun and Neptune. The group fly to Mountain Glenn, an urban expansion built by Vale but abandoned due to it being overrun by Grimm. Oobleck discovers Ruby brought Zwei along but praises her. The team are attacked by Grimm as they explore Mountain Glenn, while Oobleck asks each team member save Ruby why they wish to be a huntress – Yang does it for the thrill, Weiss does it out of a sense of duty, and Blake wants to do the right thing. Oobleck shows Ruby a herd of mammoth-like Grimm and informs her that the herd have adapted to not harm humans for their own survival. Ruby asks Oobleck why he is a Huntsman, and he answers with a desire to pass on his knowledge to his students and learn from the mistakes of the past. The group camp for the night, having found no trace of Torchwick.